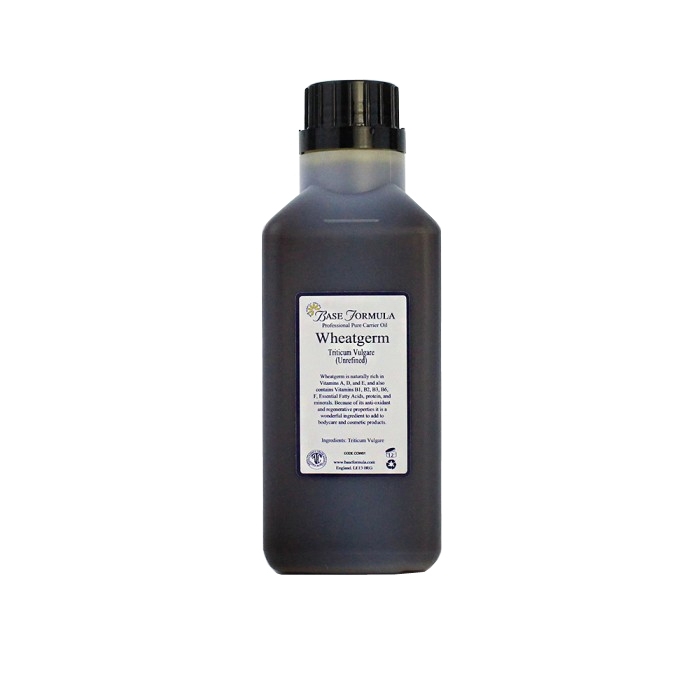 Unrefined Wheatgerm Oil is a thick, viscous, highly nutritious oil that is particularly recommend for dry, damaged, scarred or ageing skin and skin conditions such as psoriasis and eczema. Unrefined Wheatgerm (Triticum vulgare) oil is a nutrient rich carrier oil that has numerous benefits for the skin. The oil is extracted from the centre of the wheat berry – the most nutritious part that feeds the plant and helps it grow. It contains a skin nurturing infusion of vitamin A, B vitamins and vitamin D as well essential fatty acids that help nourish, moisturise and heal the skin. The oil also contains extremely high levels of antioxidant vitamin E which supports healthy collagen production, protects against free radical damage and fights signs of ageing. 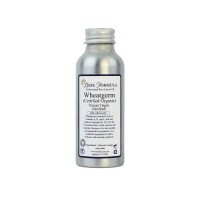 Wheatgerm oil is particularly recommended for skin that is out of condition or has been exposed to sun or environmental damage, as well as dry skin conditions such as psoriasis and eczema. 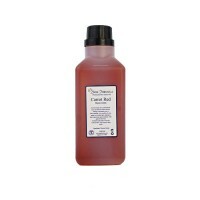 It is also excellent for repairing sun-damaged or scarred skin and reducing the appearance stretch marks. 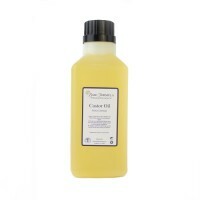 Unrefined Wheatgerm oil is thick, viscous and dark in colour, with a distinctive nutty, bread-like aroma. 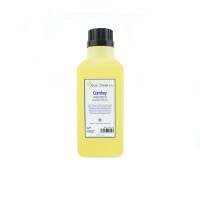 If using for massage it is best diluted at 5-25% with a lighter base oil. If using essential oils you will need to chose them carefully as the strong aroma can dominate and spoil the scent of certain oils, particularly florals such as Ylang Ylang, Geranium and Lavender. Note: Wheatgerm is often recommended as a natural preservative due to its high vitamin E content. If using for this purpose add 1% to extend the life of your blend. Whilst this is fine for self / home use we would recommend using Vitamin E oil as a preservative in blends for clients or retail sale. Safety advice: Do not use this oil if you have a wheat or gluten allergy.